Maine State House in Augusta, Maine, USA. 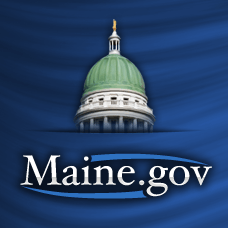 AUGUSTA–Governor Paul R. LePage has signed a financial order granting Maine residents free day use of Maine State Parks and Historic Sites from Saturday, August 11 through Monday, September 3. This action is taken in recognition of public support for Maine State Parks after record-breaking attendance levels beginning in 2010. Some restrictions apply (see below), and park fees for Maine residents will be reinstated on Tuesday morning, September 4. Maine residents will celebrate the last weeks of the summer with free day visits to Maine State Parks and Historic Sites* from Saturday, August 11 through Labor Day, Monday, Sept. 3, 2018. “Day Use” is from 9 a.m. to closing (sunset at most locations, but check at park entry). The “Fee Holiday” will not extend to camping of any sort. CAMPING FEES WILL NOT BE AFFECTED (to include the PRC, AWW, Family, Group and Campground Reservations). Camping fees will continue to be collected. Androscoggin Riverlands, Aroostook, Birch Point, Bradbury Mountain, Camden Hills, Cobscook Bay, Colburn House, Colonial Pemaquid, Crescent Beach, Damariscotta Lake, Eagle Island, Ferry Beach, Fort Edgecomb, Fort Kent, Fort McClary, Fort Point, Fort Popham, Fort Pownall, Fort O’Brien, Grafton Notch, Holbrook Island, Lamoine, Lake St George, Lily Bay, Moose Point, Mt Blue, Owls Head Light, Peaks-Kenny, Popham Beach, Quoddy Head, Range Pond, Rangeley Lake, Reid, Roque Bluffs, Two Lights, Sebago Lake, Shackford Head, Swan Lake, Vaughan Woods, Warren Island and Wolfe’s Neck Woods. *Please Note: Free admission does not apply to camping fees or Day Use at these locations: Acadia National Park, the Allagash Wilderness Waterway, Baxter State Park, Peacock Beach, the Maine Wildlife Park, Scarborough Beach State Park, Swan Island, Fort Knox Historic Site, the Penobscot River Corridor or the Penobscot Narrows Observatory in Prospect and Songo Lock. For more information about Maine State Parks and Historic Sites, visit: http://www.parksandlands.com . For more information about the Maine Department of Agriculture, Conservation and Forestry, visit: www.maine.gov/dacf . Note: This release has been corrected to indicate that Fort Knox Historic Site is not participating in the fee holiday.